Shirts With Random Triangles: Four-star WR Prospect Cavin Ridley Decommits From South Carolina's 2016 Recruiting Class Just Two Days After Initial Commitment. Four-star WR Prospect Cavin Ridley Decommits From South Carolina's 2016 Recruiting Class Just Two Days After Initial Commitment. Cavin Ridley. Image via Florida 247Sports. Time for a pretty awkward trip to the "He's Just Not Into You" department. Four-star high school senior wide receiver Cavin Ridley de-committed from South Carolina just two days after initially committing to the school. Ridley, younger brother of Alabama WR Calvin Ridley, announced his recommitment via Twitter on Monday, citing "major coaching changes" in the schools that made the final cut on his college list. He also apologized to Gamecock coaches and fans for his decision. 247Sports grades Ridley as a composite four-star wide receiver prospect. The recruiting site ranks Ridley at no. 32 among WR prospects for 2016, at no. 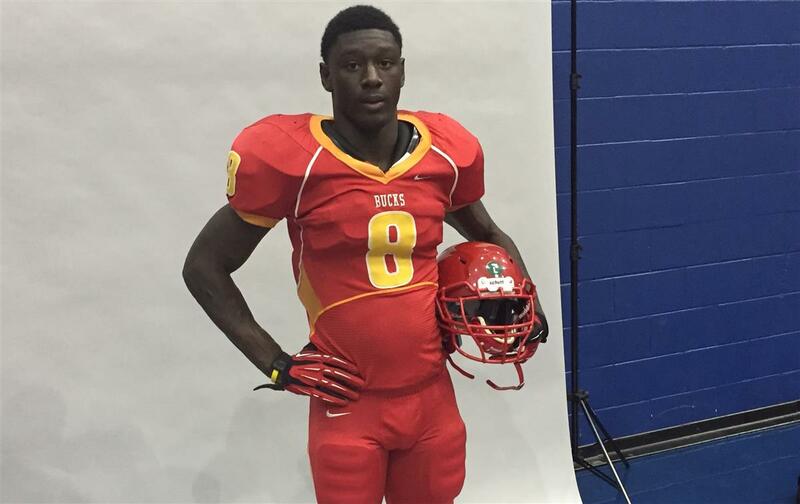 25 among 2016 prospects from the state of Florida, and at no. 177 in its composite rankings of 2016 prospects nationally. Ridley attends Deerfield Beach High School in Deerfield Beach, Fl. He stands 6'1.5, and weighs 198 lbs.